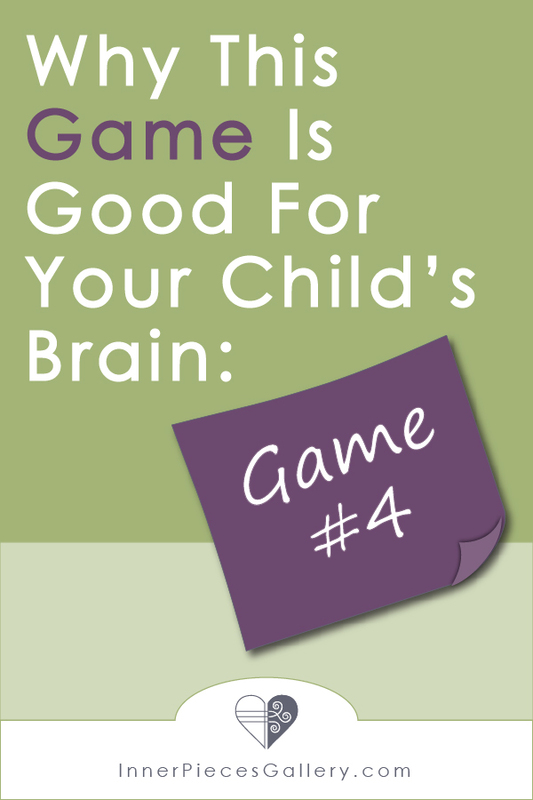 Game 4 in the series Why This Game is Good for Your Child’s Brain addresses a skill that technically is not an official learning disability. However, a student with slow processing speed is likely going to struggle to learn in some way or another. And, in my experience, learning “disabilities” can often go hand in hand with slow processing speed. Want to start the series at the beginning? Find Game #1 here. Introducing game #4: StickUp Card Game. Here’s a fun game that helps students strengthen processing speed. In this case we’re talking visual processing speed, but you could easily adapt this game to strengthen auditory skills at the same time. Slow processing skills can impact learners in many different ways. Homework likely takes hours longer to complete. School assignments are sent home to complete because they weren’t finished in class. Students with slow processing speed may be among the last to complete tests. And then you ask the question again and the process has to start all over again. How frustrating for you AND your child! Please understand that the few examples I just gave you above DO NOT indicate that your child is not smart. Same brain power. Just… takes longer to access. The good news is that we CAN strengthen processing speed. Not only that, but we can play games to do so! Play StickUp with 2-5 players or use it specifically for therapeutic intervention. How do you collect a card? Game play starts with 16 random cards displayed on the table. Each card has an image of 2 matchsticks. The sticks may be different colors, or the same. 2 players secretly choose 1 wooden stick each. Once they drop their 2 sticks on the table, the high speed game begins. To claim a card, you must be the first to touch a card that matches the same colors as the wooden sticks on the table. Each round is quick, 10-20 minutes. It helps to strengthen visual processing speed. While it’s not explicitly designed to do so, StickUp also strengthens visual discrimination and a bit of visual memory. You can alter the game to strengthen auditory processing speed by naming the colors of the wooden sticks instead of showing them. 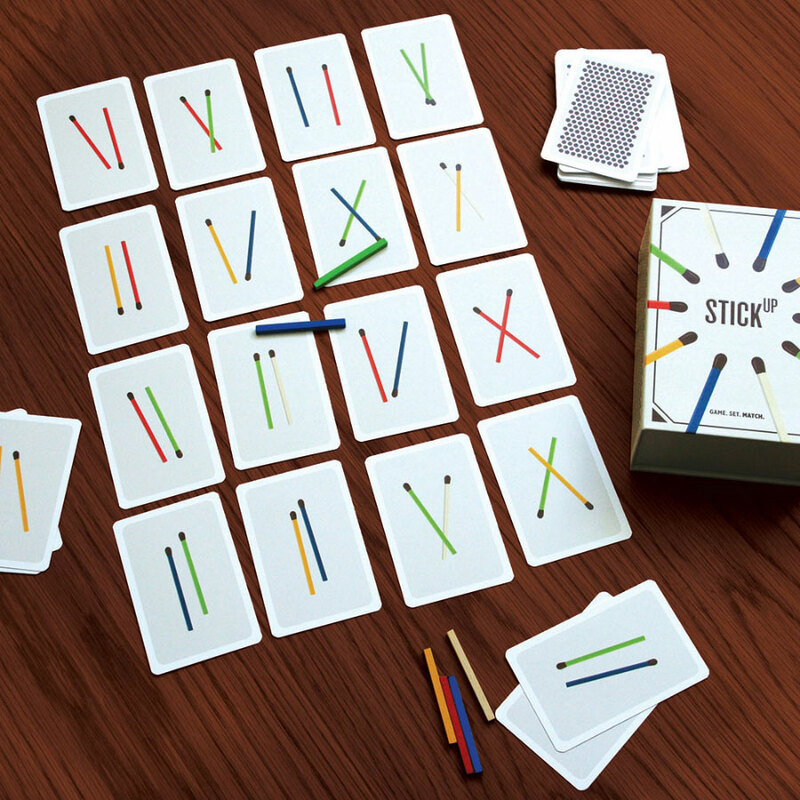 You can alter the game to strengthen auditory memory and working memory by naming the colors of the wooden sticks, then naming each card individually. Match or no match? You can turn the game into a learning intervention tool for visual memory. Show 2 wooden sticks for 2 seconds. Your child then sorts through all of the cards to find the exact color match. Then increase to 4 sticks (divided into pairs). This not only strengthens visual memory, it strengthens working memory as well. Tip: if you are using this game to strengthen processing speed, I would not match players with strong processing speed against players with slow processing speed. That’s a recipe for frustration. If you’re using this as a therapeutic intervention tool, on the other hand, you and your child can play together while you play as fast or slow as you need to. Find StickUp here. No affiliate link here. Just the joy of sharing more learning tools with you.